For those not in the food product manufacturing industry, it’s easy to underestimate the challenges of safely processing food quickly and efficiently. Seafood manufacturers have it especially tough in a lot of ways. Not only does their seafood processing equipment have to meet strict FDA standards, but there is frequently an excessive amount of water and seafood byproducts (including animal entrails rich in salt) involved in many processes. Water and salt can quickly degrade seafood processing equipment—which means that equipment will need frequent replacement that drives up the manufacturer’s cost of goods. In a price-competitive space such as the seafood industry, manufacturers need reliable tools that will last them a long time and help them control their costs rather than drive those costs up. This is where stainless steel seafood processing baskets and other equipment can help. Recently, a manufacturer of shrimp processing equipment designed to blanche and peel mass quantities of shrimp reached out to Marlin Steel for a custom shrimp peeling basket design for use with their cold and warm shrimp peeling machines. These wire mesh baskets would catch the discarded shells from the peeling process, making cleanup easy. They would also hold the shrimp from the start of the production line to when they were finally peeled. 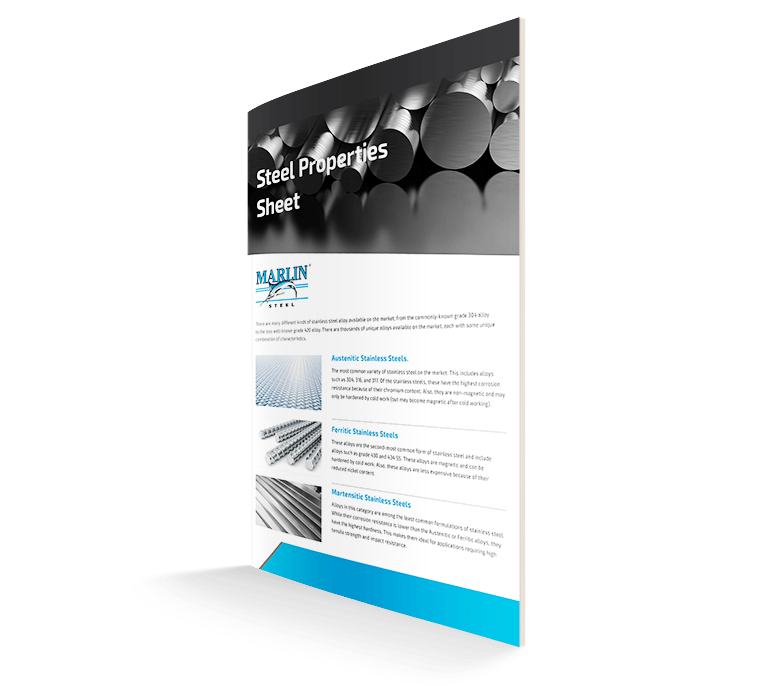 One of the key challenges in making anything for a seafood manufacturing process is that continuous exposure to water and chlorides (such as salt) will quickly cause pitting and corrosion in standard steel products. Meanwhile plastic, while resistant to chemical attack, is too prone to absorbing and retaining bacteria and other contaminants—not to mention being much less resistant to impact stress. To overcome this issue, Marlin’s engineers decided to use electropolished grade 304 stainless steel for the frame and wire mesh of this food processing basket design. The microscopically smooth surface of the basket would keep microbes and debris from sticking to the basket—making sanitation much easier. Additionally, the stainless steel was inherently resistant to chemical attack, helping it survive exposure to water and saltwater runoff for longer than a plain steel basket could. Another benefit of using stainless steel was that it could withstand a wide range of temperatures that would cause plastics to fail. So, even if used during a high-temperate blanching process, the basket would not fail. This enabled almost full “cradle-to-grave” shrimp processing for the client since the same basket could be used in the initial washing process, the blanching of the shrimp, and the peeling of the shrimp. After being peeled, the shrimp would be moved down a separate conveyor for packaging as a completed product. One challenging thing about peeling shrimp is that it can be a messy process. To keep shrimp guts, veins, and shell shards from falling into the processing equipment (and creating a contamination risk), the baskets needed to be able to catch all of the shrimp parts that could fall off during the peeling process. Additionally, any liquid runoff from the process needed be able to flow through the basket freely, especially since hot or cold water (depending on the shrimp processing equipment being used) would be run through the basket before the shrimp would be peeled. To ensure that even the smallest shell shards could be caught in the basket while allowing water to pass through freely, Marlin’s engineering team decided to use a fine wire mesh for the sides and bottom of the basket. The open space between each wire was kept to 0.048” wide, ensuring that virtually no shell pieces would fall through unless they were as fine as a grain of sand. This helped to protect the shrimp processing equipment from getting gummed up with hard shell pieces—making maintenance/cleanup easier and less costly to perform. To make sure that the basket would be easy to insert and remove from processing equipment, Marlin’s engineers added a large handle to one end of the basket. Meanwhile, a large, custom-shaped sheet metal plate on the other end of the basket would help to ensure that it fit securely in the peeling machine. These custom design elements were made specifically for the client’s shrimp processing equipment so they would be easier to handle. Because the baskets would be easy to handle and sit properly in the shrimp peeler, users would be less likely to make mistakes when loading and unloading the peeling baskets. This helped to minimize the cost of ownership to the client’s own customers later on down the line. Even with a perfect custom food processing basket design, it’s still possible to have a poor-quality final product—especially when the design calls for wire mesh openings of no more than 0.048” across. 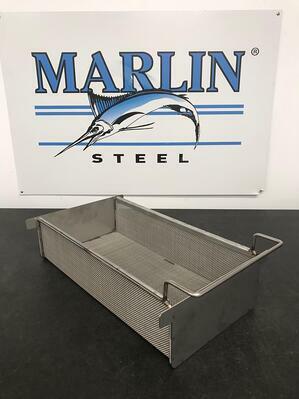 To ensure that the final basket would be perfect, and that the wire mesh would be consistently-spaced from one basket to the next, Marlin Steel used the advanced automation tools at its Baltimore, Maryland factory location. With a series of wire bending and welding robots, Marlin Steel’s production team was able to quickly and accurately assemble the hundreds of miniscule steel wires each shrimp processing basket needed. Even better for the client, because this assembly took place in the USA, there was no need for them to wait for customs or overseas shipping freighters to get their products. As soon as the baskets were finished assembly, they went straight out for delivery to the client. 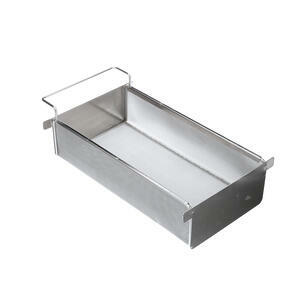 Need a custom-engineered food processing basket as soon as possible? Contact the custom basket experts at Marlin Steel to review your specific custom basket needs today!